Brent crude futures were down 51 cents, or 0.7 per cent, at $76.38 a barrel in the intraday trade. Oil-marketing companies slashed the prices of petrol across the four metro cities for the ninth straight day on Friday. 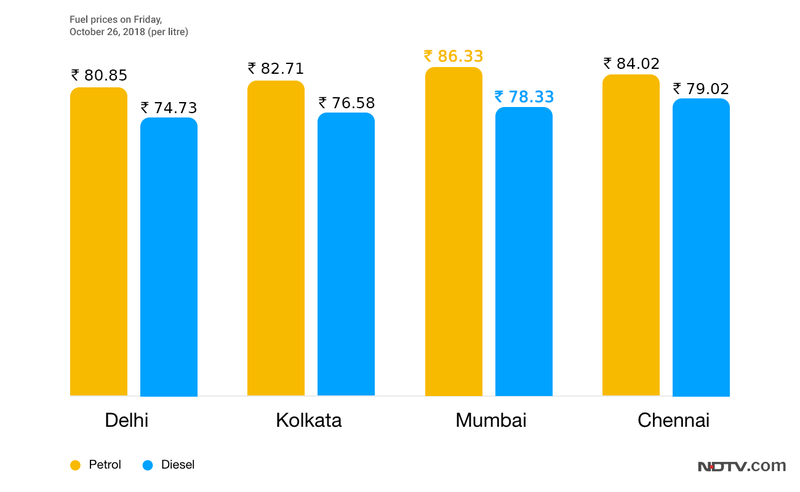 Diesel rates were also cut in all the metros except Chennai. Petrol is priced at Rs. 80.85 per litre in New Delhi, Rs. 82.71 per litre in Kolkata, Rs. 86.33 per litre in Mumbai and Rs. 84.02 per litre in Chennai, according to Indian Oil Corporation (IOC). Diesel is selling at Rs. 74.73 per litre in New Delhi, Rs. 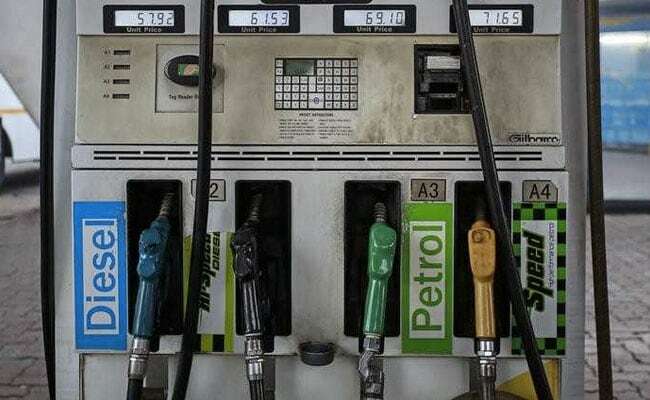 76.58 per litre in Kolkata, Rs. 78.33 per litre in Mumbai and Rs. 79.02 per litre in Chennai. Petrol and diesel rates are decided on a daily basis by oil-marketing companies on the basis of the rupee-dollar rate and global crude oil prices. Globally, oil prices fell on Friday and were heading for a third weekly loss, pulled down as Saudi Arabia's OPEC governor said the market may become oversupplied soon and after a slump in global equities clouded the outlook for demand, reported news agency Reuters. Brent crude futures were down 51 cents, or 0.7 per cent, at $76.38 a barrel in the intraday trade. The global benchmark is on course for a weekly loss of over 4 per cent. US crude was down 64 cents, or 1 percent, at $66.68 a barrel. The US benchmark is set for a 3.5 per cent loss this week.